It's amazing how many people don't know the difference between character-driven stories and plot-driven stories. It's pretty self explanatory. To make it as simple as possible, character-driven stories usually always deals with more of an internal focus. This is where the story is more about the character changes throughout the book more than the outside forces. Plot-driven stories are more external. The things happening around your character are what drives the story. 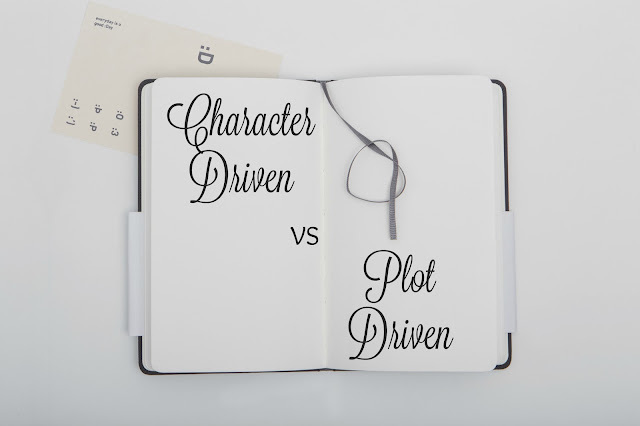 There should be a good mixture of both aspects in a novel but writers tend to lean heavily toward one compared to the other. Knowing which one you tend favor can really help you direct your story. I'm the kind of person who tends to favor plot-driven stories especially for my fantasy and science fiction novels and novellas. I like having the external conflict be the main drive of my story. Getting to a deep emotional level and having that drive it, is really hard for me but with the novel I'm currently revising for publication, I've discovered that it's heavily character-driven. Normally, I write lists for these blog posts but I feel like this one is fairly simple. I mostly wanted to bring up this topic because I struggled creating an outline for my novel due to the fact that I didn't realize how character-driven it was. So, it's good to know your style.